Nitis (nit-zees) is a Native American word for “friend.” A friend is someone who knows who you are, understands where you have been, accepts what you become, and still gently invites you to grow. 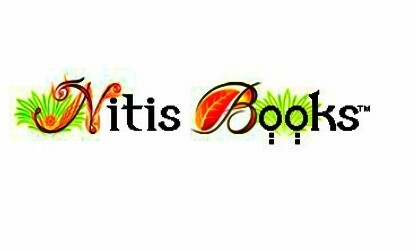 Nitis Books is the non-fiction imprint of BRP Publishing Group, a privately held non-profit corporation founded in 2011. We seek to publish helpful books filled with useful information on a variety of topics. Nitis Books is based in Vancouver, Washington, just north of Portland, Oregon on the west coast of the United States. Nitis Books publishes non-fiction books and eBooks of at least 20,000 words to sell through our website and other partner sites in print and eBook formats. While we are open to a variety of non-fiction topics, we are NOT open to self-published works that are currently available for sale anywhere. If the work(s) are no longer for sale, and you own worldwide print and electronic rights, they may be submitted for consideration. Keep in mind that if a work can be found for sale or free download through a search engine search, the submission will be rejected outright. Make sure that the work is completely unavailable BEFORE you submit it. Since Nitis Books will produce relatively few titles each year (6-12), our books reflect the individual tastes of our small staff. Nitis Books looks for writing that inspires and/or instructs the reader with a unique voice and technical expertise. I am looking for a publisher. I was an infantry airmobile soldier in the 1st Cavalry, 1st Bn 7th Cavalry from 3/66 to 3/67. During my year I was involved in 65 “combat air assaults”. The platoon I was in was the one cut off in the movie “We Were Soldiers”. My first squad leader was Sergeant Savage who was all through the movie. I sent many letters home which has helped me write this book. I consider my book a tutorial on how grunts lived in Vietnam for the period of time I was there. Some vets have told me after reading the unfinished book they have felt as thought it was therapy for them. By writing 212 letters home and my wife saving them all helped me remember many things I may not have remembered otherwise. I also carried a camera in the field and took more than 100 pictures. Thank you for your consideration, Dennis Blessing. We have 3 series of books I Remember, Reminiscene and Caregiver Tools. We are looking for a publisher that will assist us with gaining a bigger market and to assist with marketing.